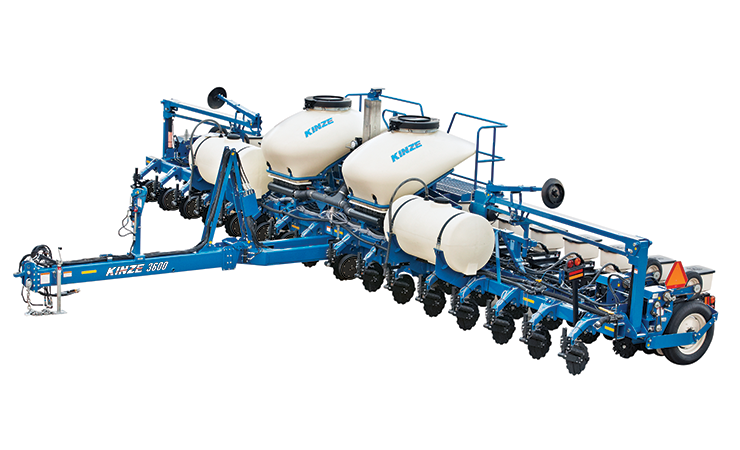 This is the groundbreaking and proven planter that brought push row units and the pivot fold frame design to fields everywhere. Starting with its proven design, and enhanced with improved productivity features, the 3600 dependably and efficiently plants acre after acre, year after year, for a great return on investment and trade-in value. Equipped with dry or liquid fertilizer, bulk or conventional hoppers, True Rate™ vacuum or mechanical meters, and numerous other options, the 3600 is the go-to planter for many farming operations. 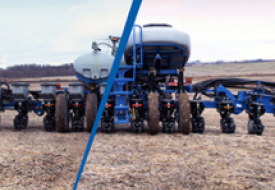 Update your Kinze planter with new technologies to boost yield and increase profit. 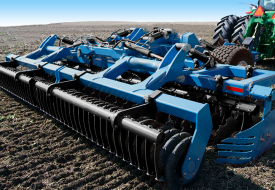 Learn more about the technology of this planter. See all the specs and parts available. Can’t decide? See all of our planters side by side with basic details for each. A key to consistent seed depth, good emergence and ultimately profitability, is row units that can follow the terrain. 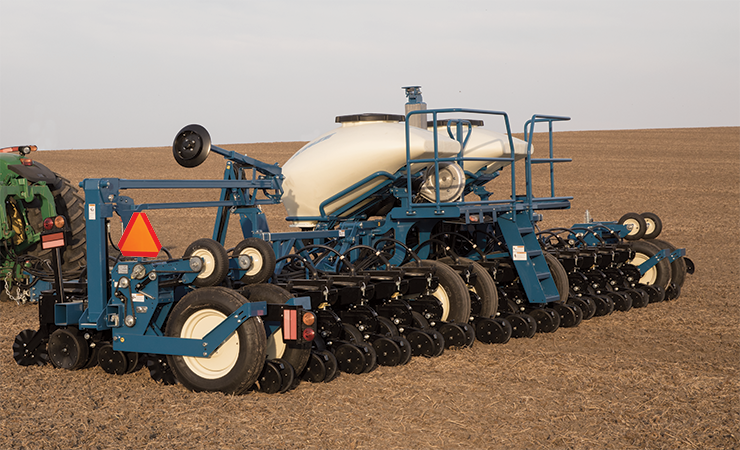 With 14˚ of total toolbar flexibility, the row units on the 3600 planter maintain ground contact on rolling terrain and terraces, ensuring your seed is where it should be: in the ground. The pivot fold frame of the 3600 quickly lifts and rotates to a narrow 11’ 2” transport width to get you quickly and safely down the road. Maintenance is also easier and more efficient with planter components at a comfortable working height. 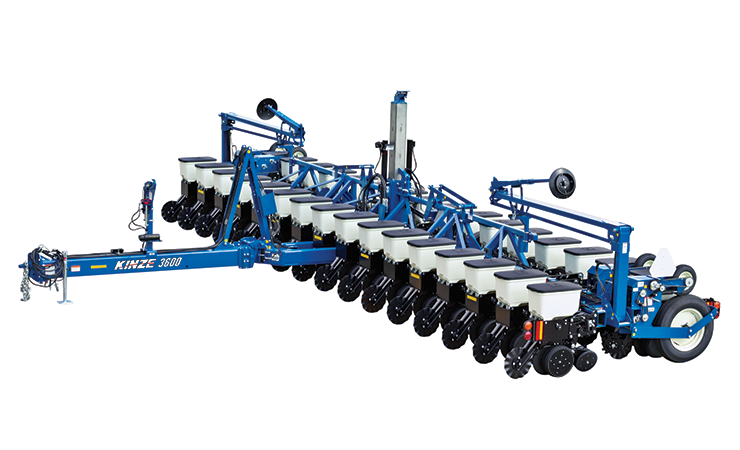 Switch from 76 cm to 70 cm row spacing quickly and easily with one planter. 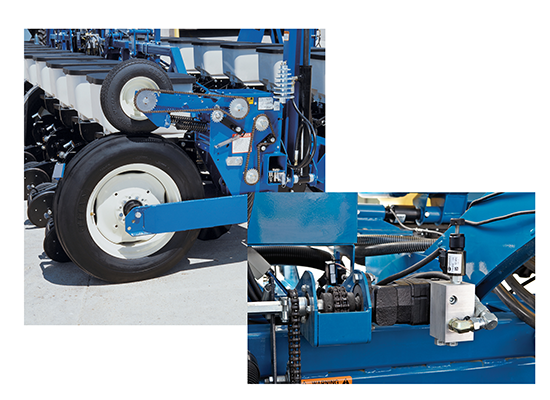 With the exclusive Kinze push split row units positioned on twin tool bars, trash is able to flow easily and cleanly beneath the planter. 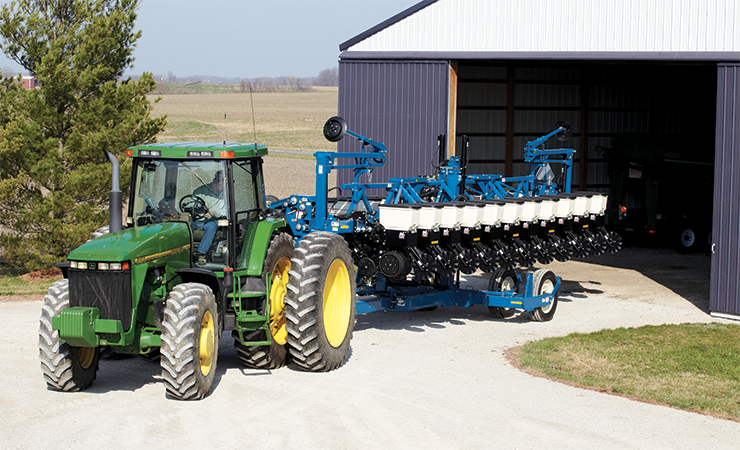 This improves seed placement accuracy and planting efficiency over other split row planters. 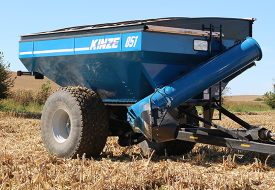 From the 99%+ accuracy of the True Rate™ vacuum meter, the simple versatility of the brush meter, to the proven design of the finger pick-up meter, Kinze offers a full line of meters to match your operation, crops and farming practices. To learn more about the differences and advantages of each meter, read more here. 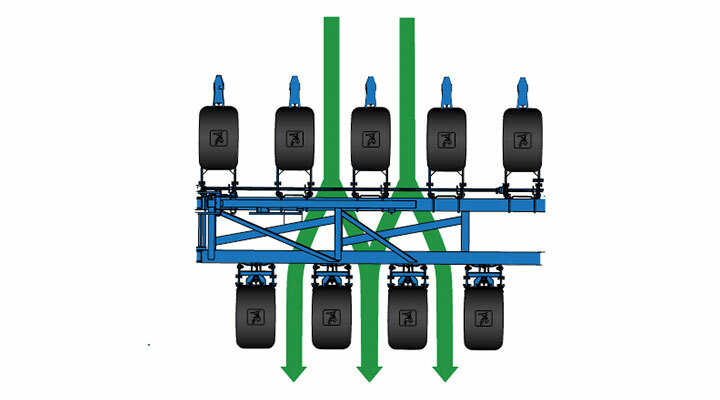 The Kinze hydraulic drive reduces input costs, improves potential yields and is easily adjusted from the tractor seat or prescription map. Ground contact drive is also available as a smooth, reliable and easy-to-operate option. 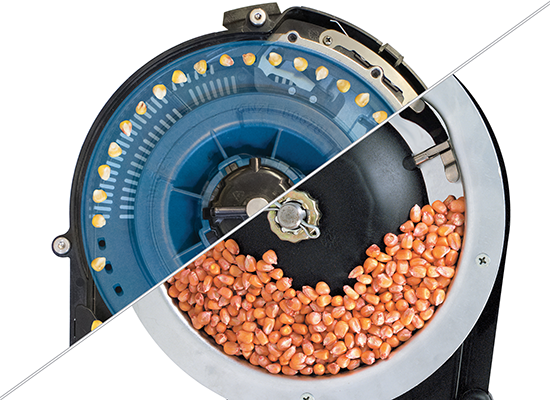 Add Surestop™ electric row clutches for easy control of seed meters in headlands and waterways. 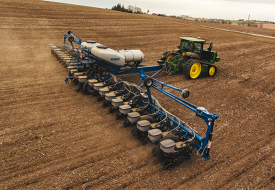 Fertilizer practices are dependent on your farming practices, and the 3600 planter provides plenty of options. Choose between liquid fertilizer (on all 3600 models) and dry fertilizer (row unit hopper models only) to closely manage this critical input cost and increase profitability. When I think of Kinze, first of all, I really enjoy the fact it’s an Iowa company. The local business employs a lot of people in the Williamsburg area, which is a nice thing. It means something to me that it’s a Midwest local company. Accuracy is a big thing for me. I love driving by our fields in the spring. You can see rows of corn in all directions. The dependability and durability are second to none. 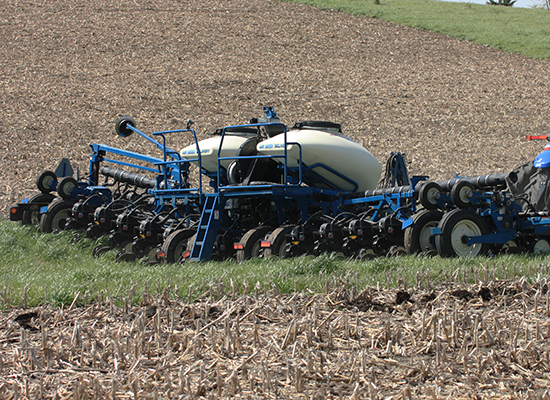 Under certain conditions, when the ground is tough and hard, the Kinze planter will do the job and put it in the ground. The planters have really improved our productivity. We can get up in the morning and get rolling and not have to do too much to them – just regular maintenance. You don’t have to have a lot of backup, but when you do, Kinze and our dealership have always taken care of us. 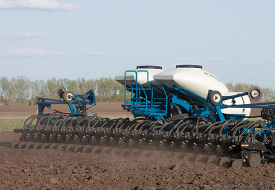 Nokomis, Illinois farmer Todd Steward believes the Kinze 4900 planter gives his crops the best start.